September 2011 we launched WooCommerce with 6 themes and 9 extensions, we had no idea the journey this product would take us on. 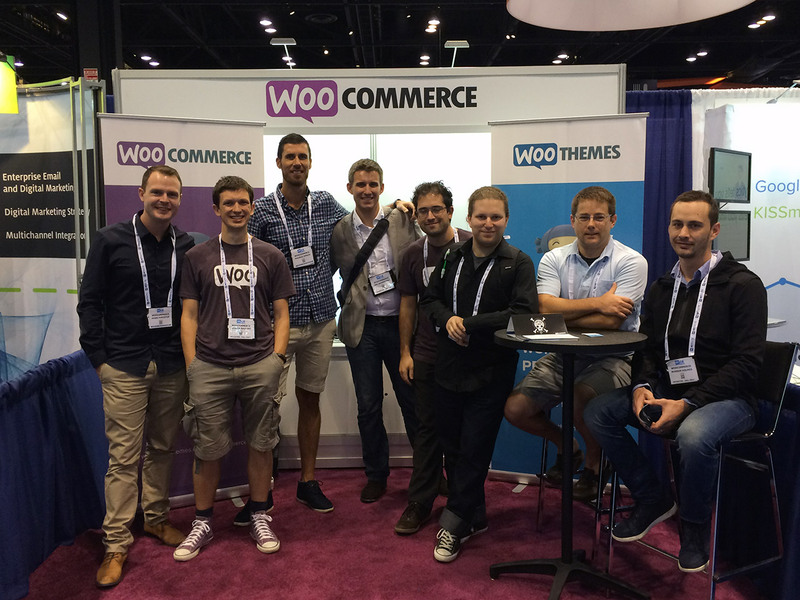 Since that time we’ve marveled at the progressive and exponential growth of WooCommerce. People often ask what the secret to the success is. It is hard to pinpoint a single element or roadmap to success but one thing I am certain of, we would not be able to do what we are doing without a incredibly talented team, development from amazing 3rd parties and the incredible WordPress community behind us. 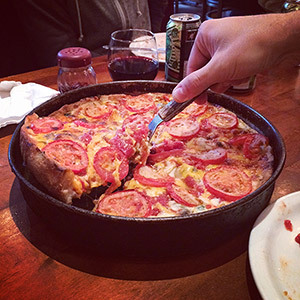 Deep dish pizza in Chicago. It had to be done. When I started 15 months ago I knew a large portion of my time would be focused on WooCommerce but had no idea the impact a few calls would have on the way we engage with players in the eCommerce space. At that time (May 2013) we knew our platform was growing but had no way of really gauging the numbers of WooCommerce users. We were approached by several prominent eCommerce services to discuss our relationship. In these calls I realized the value that can come out of working with various key players in this space but to be able to ‘sell’ other prominent eCommerce services on the WooCommerce opportunity we would need more information about our user base. BuiltWith.com has helped us track our growth and understand our user base. Since that time we’ve done our best to form meaningful partnerships with as many services that we offer integrations for. For you as a customer this means that as a company we make sure partners understand WooCommerce and that we understand these various services. We often have reps that we can contact if we run into any issues or if you as a customer run into major issues. Working closely with integration partners ensures our integrations are of the utmost quality. Lastly, this often means we are able to present you with special offers. You may have noticed an increase in free integrations, there are relationships behind many of these free products. In the open source eCommerce space it’s easy to get technology focused but we’ve found that a relationship first approach has been highly effective and incredibly helpful as we aim to constantly improve our WooCommerce offering. IRCE – Internet Retailers Conference + Exhibition is held annually in Chicago and is the industries largest display of services and technology found under one roof. This conference marks the first time we’ve taken WooCommerce to an eCommerce event. We decided to take the entire leadership and a couple expert WooCommerce ninjas to give everyone a chance to learn and engage in this new space. We really weren’t sure how we would be received or what the three day event would hold for us. We came in with the purpose of meeting with some key partners in person for the first time and learning about some new services that could benefit our users. This was quite a daunting experience to meet face to face with industry leaders but ended up being such a huge step for us as a team and as individuals. It was incredible to continue to form valuable relationships and dream about future endeavors with many industry leaders. 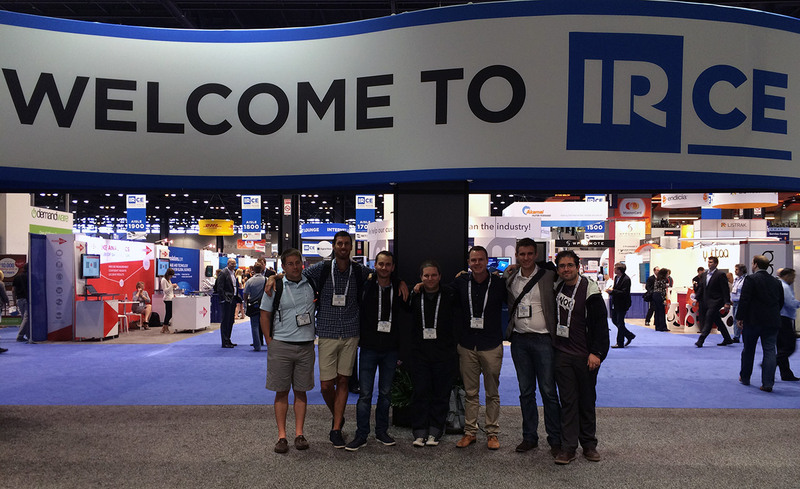 Perhaps even more remarkable was the unexpected bombardment of our booth and desire to setup meetings with our team. More than 90 companies came by to setup meetings or to discuss ideas for collaboration. Whatever expectations I came in with as the head of Business Development were exceeded. After just a couple meetings I felt like being in attendance was already worth well worth the 30 hour journey from Cape Town. I’ve never felt more confident about the future of WooThemes and WooCommerce as I feel about it today. Each relationship formed means additional stakeholders in this incredible journey we call WooCommerce. Our crazy global team of 40 (I can’t keep track) are just a part of the success of WooCommerce but as we build the community around our product I couldn’t be more excited to share the journey with some amazing new partners. If you’d like to share your WooCommerce journey with us we’d love to hear. If you use WooCommerce for your business or develop sites with WooCommerce we’d love to see you November 3-4 at our inaugural WooCommerce Conference in San Francisco.